Properly measuring your room for a shuffleboard table must include the clearance needed at both ends to play the game. Allowing 36 inches, on both ends is adequate for most situations. Shuffleboard table measurements are taken from the outside of the cabinet and not the play surface. Shuffleboard tables may be placed either in the middle of the game room or against a wall. 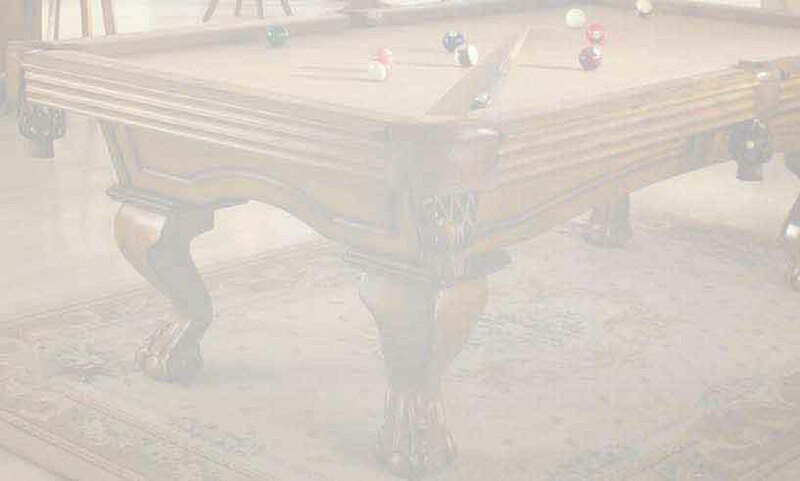 If placing a shuffleboard table against a wall, allow a few inches clearance between the outside of the cradle and the wall to avoid damaging the wall or the game. Cabinet widths may vary depending on the width of the play surface used in sizes 14 ft. and larger. A total width allowance of 36 inches is a maximum requirement for all sizes. 9 ft. 15'0" x 3'0"
12 ft. 18'0" x 3'0"
14 ft. 20'0" x 3'0"
16 ft. 22'0" x 3'0"